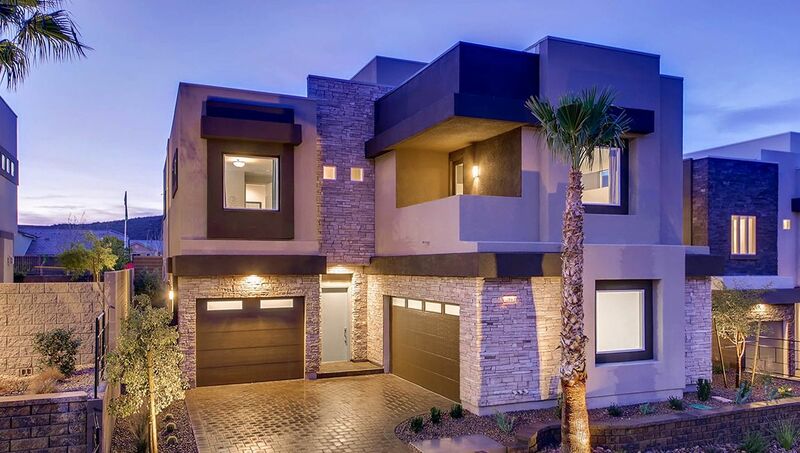 Aurora's Edge is an exclusive gallery of modern, contemporary style homes desirably nestled upon Black Mountain in Henderson. The fusion of indoor/outdoor living and contemporary style brings new definition to luxury living. Clean-lined designs and extraordinary finishes will captivate those craving a unique and modern lifestyle. It's a place where creativity can thrive. Aurora's Edge features airy open floor plans and swoon-worthy architectural details—inspiring, inside and out. Sunlit spaces. A sparkling kitchen to ignite your culinary curiosity. Attached guest suites and multiple rooftop deck options. Maybe it's your art studio. Maybe it's your yoga room. Maybe it's a party pad, ready to be filled with friends, family, good times and laughter. Maybe it's all of the above. Aurora's Edge is about saying "yes" when life provides the next great adventure.